Lili Shi knows exactly when she became interested in fashion. When she was five years old her mother bought her ten Barbie dolls and Shi began making dresses for them that continued throughout her childhood. With help from her grandmother, Shi learned how to use a sewing machine and to embroider. She later enrolled in the Fashion Institute of Technology earning her BFA Fashion Design – Fine Arts, Art History. 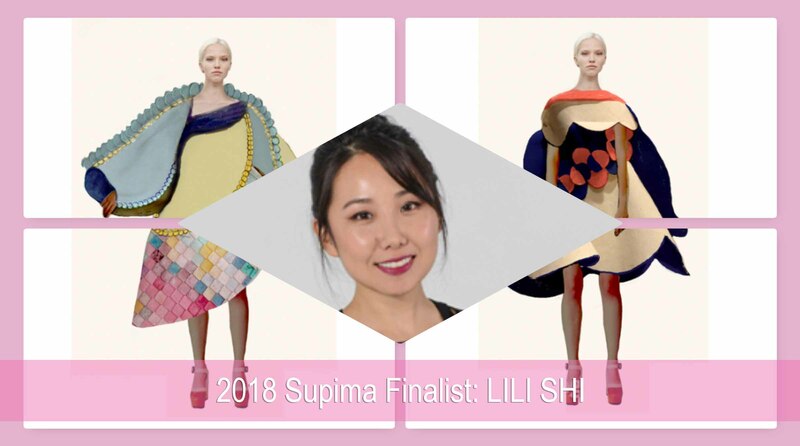 During her studies at FIT, Shi received recognition as a Finalist in The Collective X Designow program and was selected to showcase her designs at the FIT Future of Fashion Show and the FIT AAS Exhibition. Shi’s theme for her Supima Design Competition collection is “Inter-Connection”. Inspired by Daoism’s philosophy; Dao begets one, one begets two, two begets three, three begets all things. It’s the beautiful geometry and math contained in repeated organic shapes.